Archbishop Prince Frederick Charles King of Vilna (1917-85) was the first Prince of Vilna and All Byelorussia and served alongside his friend Prince Kermit of Miensk in the exile administration of the Belarusian Patriarchate. He was additionally Vice-Chancellor of the San Luigi Orders for the United States under Prince-Abbot Edmond II and was Archbishop-Primate of the Old Roman Catholic Church of California. Frederick Charles King was born on 17 August 1917 in New Orleans, Louisiana, the son of Frederick C. and Elenor (Coles) King. 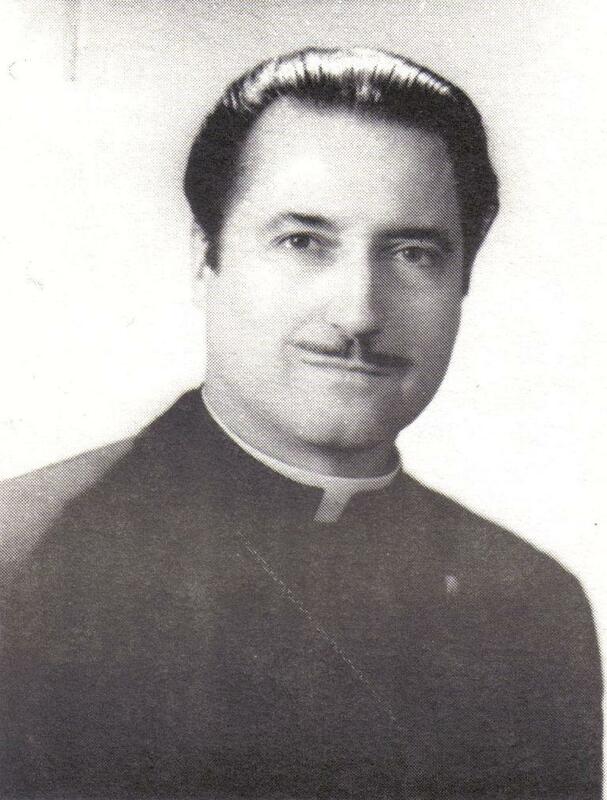 He was baptized in Saint Alphonsus Roman Catholic Church and educated at institutions including Tulane University, St Louis University and Seminary (MTh, ThD, 1959), the University of Southern California and St Andrew’s Correspondence College, Tottenham (BA, 1950; PhD, 1969) (see the profile of Primus Dr. Charles Boltwood). At the outbreak of war, King volunteered for military service and served in the United States Navy during World War II and later in the United States Marine Corps during the Korean War. He received a total of ten medals. While serving in the military, King was an active sportsman, contesting twenty-five bouts as a light-heavyweight boxer (175 lbs) of which he won twenty, drew four and lost one. As a weightlifter, he won two first place medals in the light-heavyweight division. During the 1950s, King’s spiritual interests and intellectual curiosity became dominant. He undertook a wide study of the religions of the world, became interested in Spiritualism, Theosophy, Rosicrucianism and Christian Science, and for four years practised yoga at a high level. Ultimately, he found none of these paths satisfied him, and he consequently returned to an orthodox expression of the Old Catholic faith. As the 1960s progressed, King worked closely with Prince-Abbot Edmond II in the San Luigi Orders, being appointed Vice-Chancellor for the United States in 1963 (and thus counterpart of Mgr. George Tull, who was Vice-Chancellor for Europe) and Chancellor of the Order of Antioch in 1964. 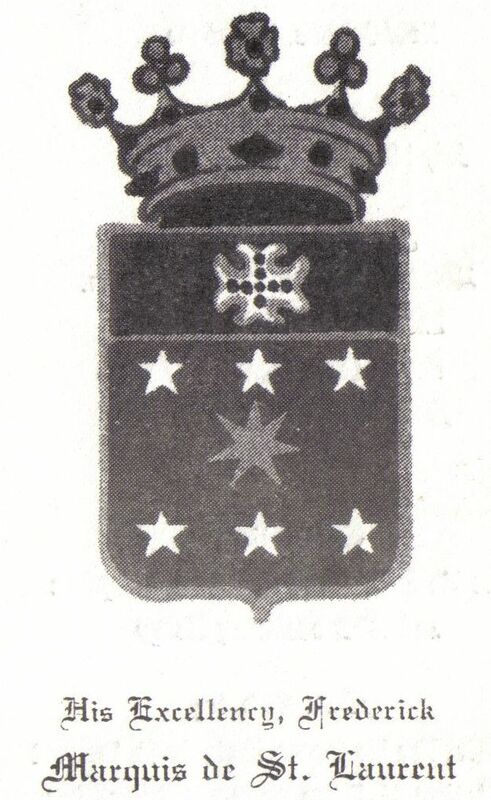 He was knighted by King Peter II of Yugoslavia, the High Protector of the Order of the Crown of Thorns, in 1960, and received membership in a number of other chivalric orders as well as honorary doctorates from colleges and universities. The Most Revd. 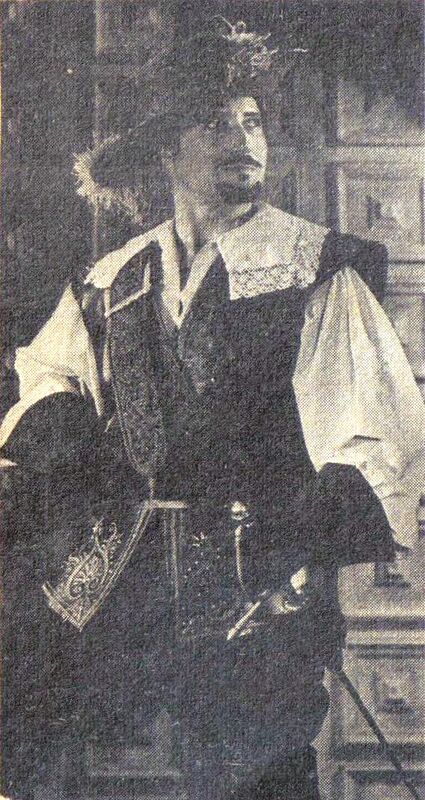 Alexander Licastro de la Chastre Grimaldi Laskaris, Prince of Deols, whose dynastic status had been confirmed by the Italian courts, conferred upon him the title of Marquis de St. Laurent. With the consent of Prince Kermit of Miensk, Patriarch Peter II Andreas Zhurawetsky of the Byelorussian Patriarchate of St Andrew the First-Called Apostle conferred the title of Prince of Vilna and all Byelorussia on him on 11 February 1971. The Emperor Marziano II Lavarello, pretender inter alia to the Byzantine and Serbian thrones, conferred on him the titles Duke of Serbia, Duke of Bosnia and Duke of the Holy Roman Empire on 12 July 1971. In 1974 he was awarded Fellowship in the fifth class in the Augustan Society, which had in 1970 elected him a Clergy Member. By 1967, greatly concerned at developments in the larger churches, King had founded the Bishop King Crusade which was described as a “Christian, Anti-Communism, Anti-Socialism, educational program designed to awaken and educate the American people concerning the dangers of these insidious evils.” The Crusade promoted personal responsibility, patriotism, private enterprise and the Gospel of Jesus Christ. 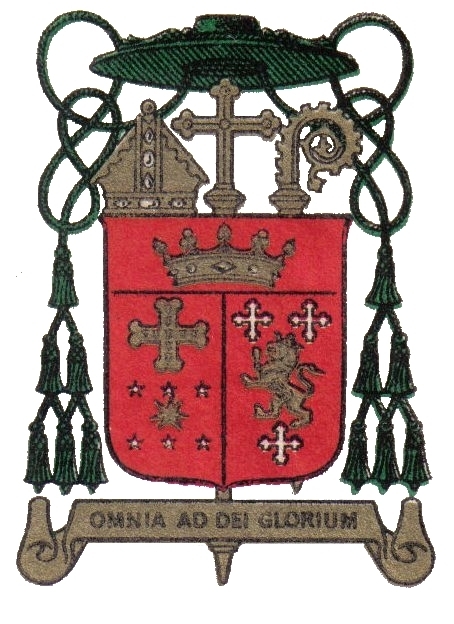 The chief means of King’s outreach, which ultimately reached several million souls, was by means of the Bishop King Crusade Radio Program, broadcast by Radio Station KIEV – Glendale and by Radio Station XEG – Monterey, Mexico, whose powerful transmitter could be received by 44 states of the United States plus Canada. This work brought King to a national audience and resulted in letters of commendation from such figures as Governor Ronald Reagan of California, Governor George Wallace of Alabama, Senator Strom Thurmond of South Carolina, Senator George Murphy of California, General Edwin Walker, US Army, and General Richard R. Moran, US Army. King was also at one point Leader of the Hollywood Chapter of the John Birch Society. In 1967 he was awarded a governor’s commission as a Kentucky Colonel. King pursued several ecumenical alliances. He worked with Guy F. Claude Hamel (1935-2008) of Québec, who as Patriarch Claudius I was head of another branch of the Old Roman Catholic Church, and who had been appointed as Chancellor for the Canadian Regions by Archbishop Richard Marchenna of the ORCC. King often wrote for Hamel’s journal the C.S.P. World News, and the August 1967 issue featured a front-page profile of King. In 1965, King formed an alliance with Homer Ferdinand Roebke, Archbishop Primate of the American Orthodox Catholic Church, and served as Archbishop of Southern California in that church for a time. The American Orthodox Catholic Church had been formed in 1961 by Archbishop Robert Schuyler Zeiger with the consent of his consecrator Patriarch Peter II Zhurawetsky, whose succession was transmitted via Prince-Abbot Edmond II to King in 1964 (Zeiger would also consecrate Archbishop Bertil Persson, consecrator of the present Prince-Abbot, in 1995). By the 1970s, King was designated as Archbishop-Primate of the Old Roman Catholic Church in California. On 5 March 1972 at Bethlehem Chapel, Washington, King consecrated Prince Kermit of Miensk as Bishop in Partibus of Tayma in the Old Roman Catholic Church, and on 18 May 1975, with Prince-Abbot Edmond II, consecrated Archbishop Paul G.W. Schultz (q.v.) In 1978, King also became a bishop of the Apostolic Episcopal Church, Province of the West. King died on 18 June 1985. His funeral service on July 22 was officiated by Prince-Abbot Edmond II, who succeeded him in his various honours. He was survived by his wife Karla (née Mirabal) (1920-99), a painter and deaconess in the Anglican Apostolic Church of England. They are both buried in the Forest Lawn Memorial Park, Glendale, California. 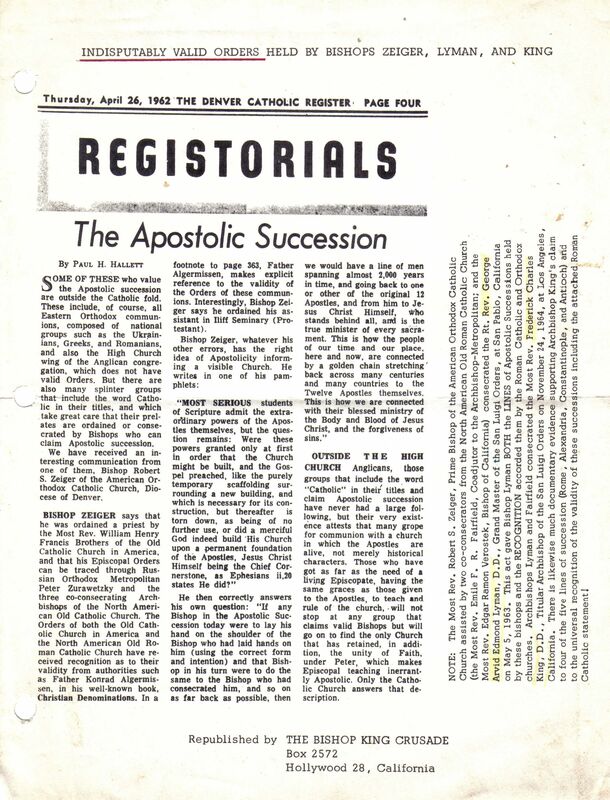 >>Article from the Denver Catholic Register of April 26, 1962 (a publication of the Roman Catholic Archdiocese of Denver). 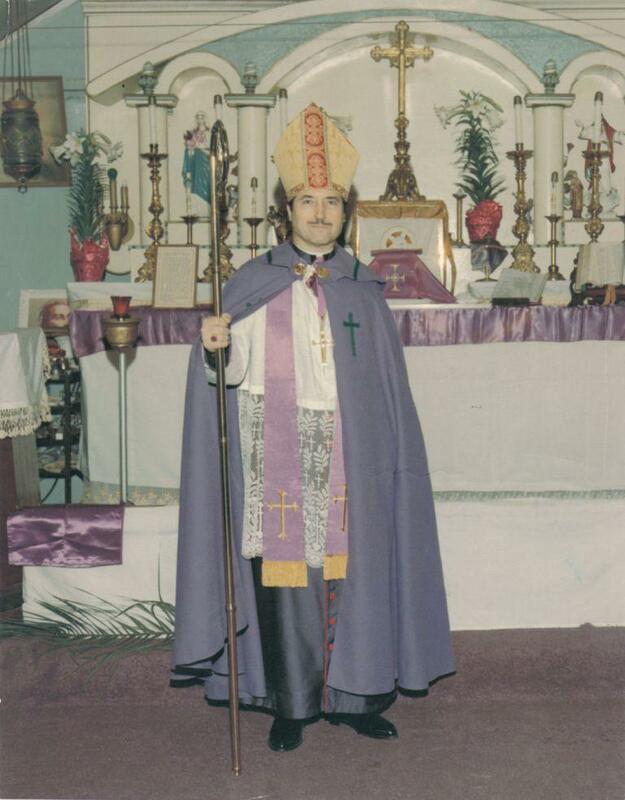 The article affirms the validity of the Holy Orders of Archbishop Robert Zeiger, a lineage that was transmitted to Archbishop King via Prince-Abbot Edmond II.